Mags was once an enslaved orphan living a harsh life in the mines, until the King's Own Herald discovered his talent and trained him as a spy. Now a Herald in his own right, at the newly established Heralds' Collegium, Mags has found a supportive family, including his Companion Dallen.Although normally a Herald in his first year of Whites would be sent off on circuit, Mags is needed close to home for his abilities as a spy and his powerful Mindspeech gift. Interesting protagonist, but slow, uneventful plot. Elena Klovis was supposed to be her kingdom's Cinderella - until an accident of fate left her with a completely inappropriate prince! Determined not to remain with her stepfamily, Elena set out to get a new job - and ended up becoming the Fairy Godmother for the land. But "Breaking with Tradition" was no easy matter. True, she didn't have to sleep in the chimney, but she had to deal with arrogant, stuffed-shirt princes who kept trying to rise above their place in the tale. Listen to more titles in the Immortals series. Wild magic and the three books to follow were always my favourites when I was a teenager. Have read them over and over through the years and decided to try having Tamora read them to me for something different. Just wonderful, thank you! Highly recommend these stories for all ages. 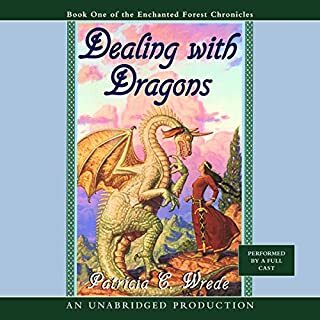 I was a bit disappointed in the audio version of this wonderful book. I will forever worship Tamora Pierce for her writing skills. In fact this book, when it came out, was one of the first fantasy novels that I read as a pre-teen. To this day, as an adult, I still buy every book she publishes, and read them all at least once a year. This audio version, however, fails to do justice to her novel. The narration was extremely stilted and over-enunciated to the point of sounding like a machine. It lacked any sort of inflection, especially when heard up against the exuberance of the character actors. 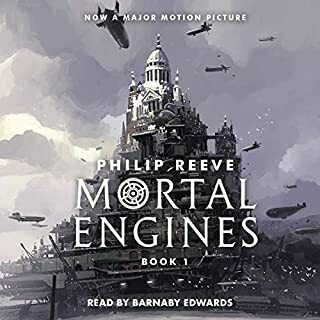 An audio book read by an ensemble cast can be great if done well, but this one had the feel of an acting troupe that hadn?t run their lines enough. The pacing was off, and it lacked cohesion as a whole. The overall effect was very distracting. 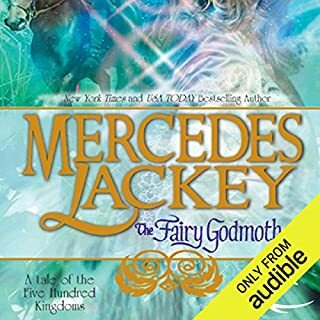 I?m not disappointed that I bought this audio book because I just love the story that much, but I do hope that the next one is better. I always love Tamora Pierce's books. The writing is solid and her heroines are powerful and relatable. 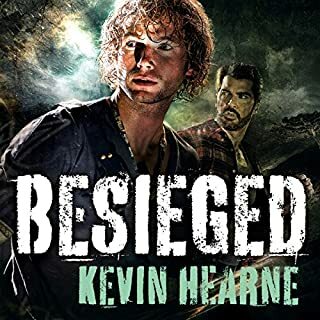 I loved this book when I read it for myself, but I'm not a fan of the way they handled the audiobook version. Personally, I found the rotating cast and broadly performed narration distracting. This recording is clearly geared towards much younger readers, possibly younger than I would suggest read this book in the first place. Bottom line: great book, good narration if you want to entertain a child, but ultimately not to this consumer's taste. I've read and re read this book so many times there are bits I know of by heart. I really enjoyed the audio eventhough it was more the lack of other choices that made me choose it. After I heard a tad bit more than the sample and got used to the pronounciations I fell in love with it. I like the full cast and it is not at all distracting. 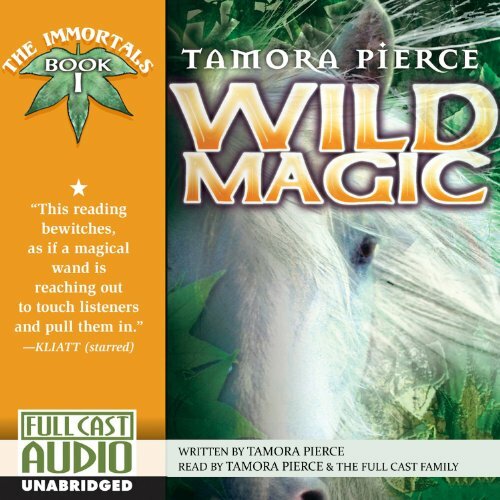 Wild Magic: The Immortals series are one of my favorite Tamora Pierce books and audiobooks. I've read many reviews that criticise Daine. "She's too whiny ..." Well, I love fourteen year old kids and that's exactly Daine's character. Imagine you have been an outcast because of your never knowing your father, living in a village where everyone looks down on you because you are "illegitimate" even while your mother selflessly heals the sick. Then when murdering bandits attack your family and the village people ignores your family. The village hunts you down to kill you. all this happens to a fourteen year old kid before she begins the story. Daine becomes a more heroic character once she has the support of caring people. It's unrealistic to compare her to Alanna, another heroic character. I love Alanna but she is almost to perfect. Daine is a more realistic teen. I love her character because she shows the possibility of every child who is loved and supported having a chance to grow up sane. This book should appeal to many middle school kids who feel abused. (and how many middle scholers do you know who don't feel a little unloved.) It really is a favorite of mine because I love middle school kids, even the challenging ones. With kind nurturing they can grow into some pretty fine people. 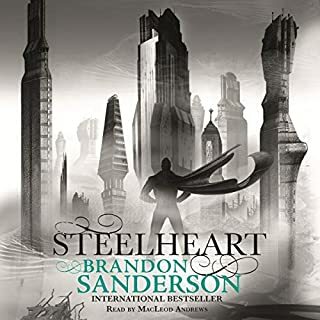 I eagerly await the fourth book performed as an audiobok for this series. I read Wild Magic years ago, it was the first book of Tamora Pierce's that I tried and is still my favorite of hers. 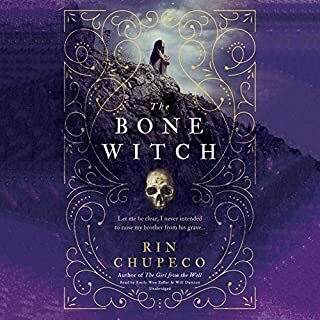 After the wonderful job Trini Alvarado had done with the other books in the Tortall series I was very disappointed to see she was not reading this one. My worries were confirmed as I listened to book. 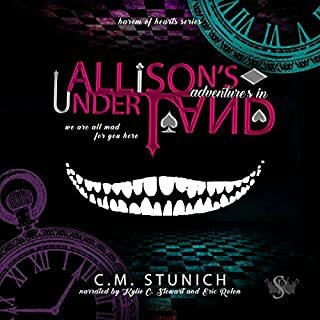 I love Ms. Pierce's writing but her narration is very dull and uneven, couple that with the overacting of some of the actors and you have a very distracting and childish production. They did not totally ruin the book for me but they in no way enhanced it either. Trini Alvarado's reading kept this supposedly for young adult series a light fantasy that adults could enjoy as well. 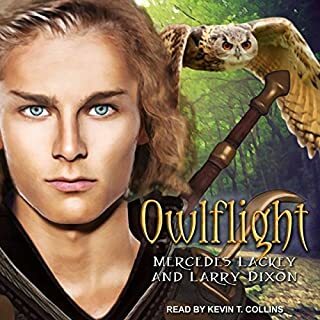 While the full cast audio production of Wild Magic turned a fun,light fantasy into a childs book. 4 1/2 stars for the story 1 star for the narration. I think it needs to be redone narrated by someone new. My vote is for one speaker who can do characters like Jim Dale, Simon Vance or Terry Donnelly. The method of having the characters played by different actors really fails here. I love this story and have for many years. I think it is a great young adult series with vivid characters and strong female leads. As a young girl it made me look critically at my relationship to the world in a way that helped me to grow and take ownership of myself. 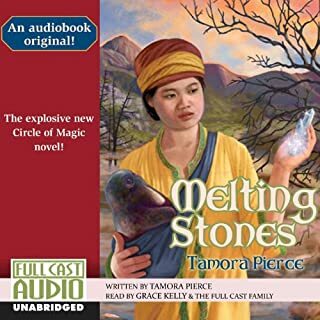 What didn’t you like about Tamora Pierce’s performance? 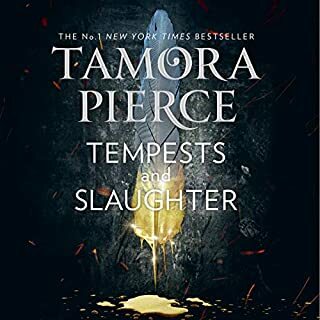 I was dismayed to find that Tamora Pierce is a terrible narrator! Listening to this audio book has been extremely painful. Also, the acting of the general cast was atrocious! Who ever directed this or envisioned it should be ashamed of themselves. I think they categorically ruined a good story. 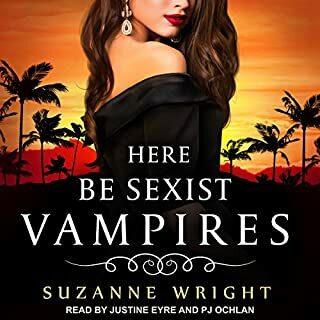 The female lead has the winiest most dis-empowered voice in an audio book I have ever heard. her voice ruined a bright and growing character. I hope to hear soon that someone is going to rerecord this series and revive it from the unfortunate state it is currently in. 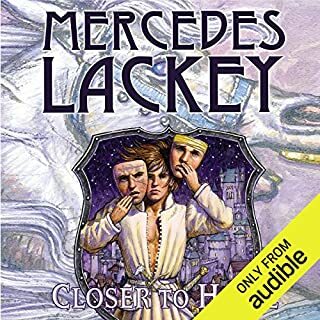 I found the audiobook fine, I was slightly disappointed by Mrs. Pierce's narration but once accustomed to it I found it helpful that it was in a different tone than the acting, there was never the worry of missing dialouge because of a similar tone. 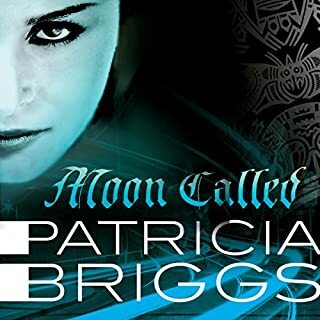 I believe the voice actors caught the feeling of the parts very well, it is a young adult book and while as an adult I continue to read all of Pierce's books I enjoy the lightness and fun that are a part of her books and the character flaws that make the characters so dear. I listen to all the audiobooks of hers on a regular basis as I've nearly destroyed my written copies from many evenings of reading. 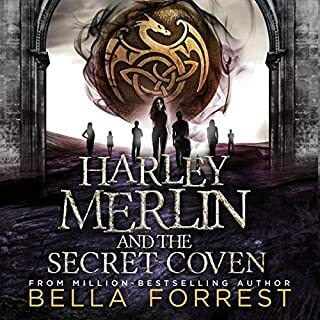 As long as you're not expecting a serious novel and are willing to put up with some wonderful characters this book is wonderful and an easy listen. Let me start by saying I'm a huge Tamora Pierce fan and have been for many years. Wild Magic was the first book I read of hers and has a special place in my heart. That being said...this audio version is horrific. I loved Trini Alvarado's reading of the Alanna series and couldn't wait to hear her do this series. When I realized the author herself was doing the narrating I figured she would make it even better. Not so much. She's a great writer but a terrible narrator. She seemed bored and unfamiliar with her own work! The Full Cast Audio team made a wonderful book sound like a cartoonish mess. The main characters voice was whiny and like nails on a chalkboard. The rest of the characters were not much better and the random music between chapters was distracting. 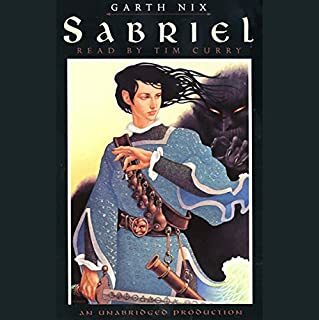 I really wish there was a different audio version of this book with just one narrator who actually enjoys telling the story. i can't finish this nook. narration sounds like a computer voice. story might be worth a read though. I have listened to Wild Magic over and over on my iPod. Is is a book full of action mixed with a world full of evil and good immortals, great gods and goddesses, and powerful sourcerers. All of Tamora Pierce's books are awesome, all occuring in the same world, although specifically written about different corners of the world. If this book was appealing to you, then you would enjoy all of Pierce's works as I have. 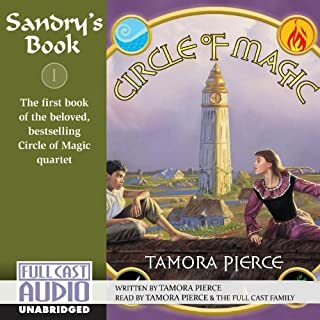 The narration is a little slow - I had to speed it up to make it sound normal, but the characterisation was great and I'm frankly overjoyed to have audiobooks of Tamora Pierce's work! Glad I got this story. I am way older then the recommended age group for this book but I don't care - I love them all.